Four dollars a pound, and you can barely cover your costs. Four dollars a pound, and still, no one’s buying. 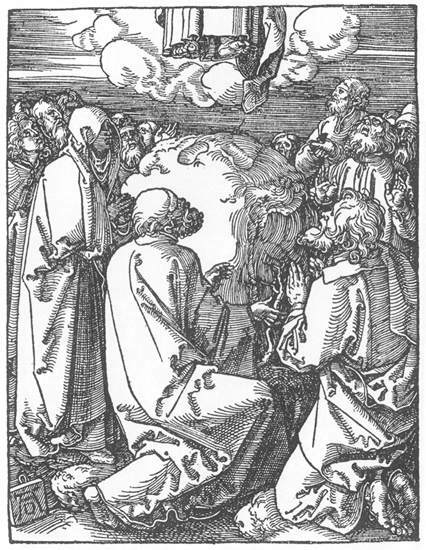 I’ve always found the Feast of the Ascension, the liturgical day we mark Jesus’ rising up to heaven, as a difficult day to get excited about. Throughout advent, we waited in solidarity with the oppressed people of Israel to witness the birth of the Messiah, the birth of hope at Christmas. Throughout Lent, we waited in solidarity with the crucified people of our world as Jesus conquers torture and death on the cross, and turns it into new life at Easter. Jorge Mario Bergoglio had been elected as the new bishop of Rome. We might expect that the other cardinals sitting next to Bergoglio would take this opportunity to congratulate him, to hide their own disappointment behind their smiles, perhaps even to put in a good word in for themselves before the white smoke signaled the bedlam of the crowds waiting below. “And he sent and killed all the children in and around Bethlehem, who were two years old or under” (Matthew 2:16). We do not know, of course, if this was a historical incident. That’s a debate that’s not going to be settled. But I can easily treat it as historical because, if it did not happen at that exact time and place, it has happened a thousand other times. A routine atrocity in an unimportant country, recorded by almost no one; and if I named for you now Kraras or Fence of Legs or the Markale marketplace, these words would have no meaning for most or all of you, these small massacres in distant lands, as unremembered by the world in general as a slaughter of children in a corner of the empire was by the empire’s own chroniclers.